Montblanc revealed a stunning array of new timepieces at this year's SIHH Genera watchfest. 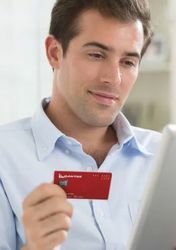 They're so new that the German luxury brand doesn't even have Australian release dates or pricing yet, but here's what you can look forward to when they do arrive – or if you decide to do some shopping on your next trip to Europe. The Star Legacy Full Calendar was actually released as part of Montblanc’s pre-SIHH hype-up, and it caught my eye for a number of reasons. One, the sheer amount of visual details. Roman numerals aren’t normally my thing, but in the case of the Star Legacy Full Calendar, the use of Arabic numerals would definitely have thrown off its balance. The guilloche inner dial breaks up the clean and smooth look of the outer dial, and the gorgeous day/night aperture adds some pops of colour. 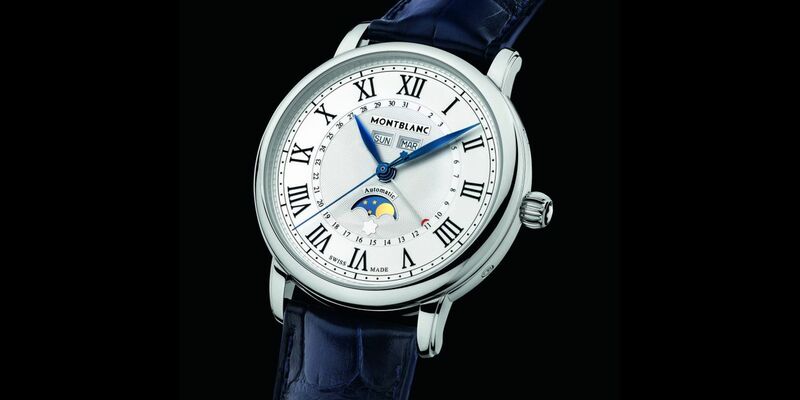 Likewise, the blue steeled hands and red-tipped date hand create that bit of colour differentiation through the dial. Despite the elegant aesthetics, the Star Legacy Full Calendar packs a lot of information onto its 42mm face. 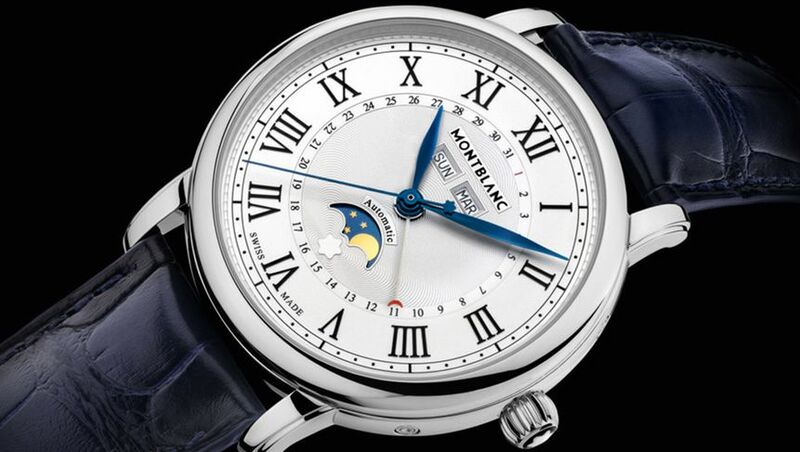 The day and month appear in window apertures just below 12 o’clock, with the day/night indicator sitting atop Montblanc’s infamous six-pointed snow cap (representative of the Mont Blanc snowcap). Everything about the Montblanc Star Legacy Full Calendar just seems to work, and so does the price. At US$4,820 the Montblanc Star Legacy Full Calendar represents wonderful value in a very classical package with some amazing and highly functional features. Montblanc's Heritage collection differs from the Star Legacy pieces in that they are slightly more conservative, a touch more reserved and far more appealing, from a visceral sense and in my highly subjective opinion. 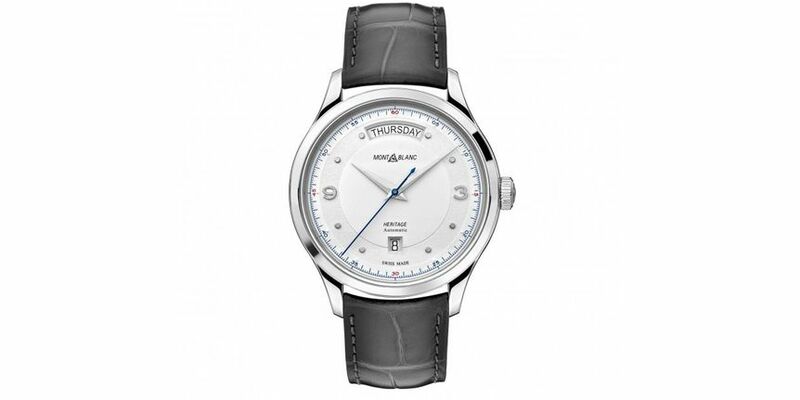 The Automatic Day-Date is an incredibly simple timepiece that looks far more expensive than its price-point suggests. Gorgeously appointed and wonderfully designed, there is a clear directive of the Heritage Automatic Day-Date, and that is to remain timeless. The conventional placement of the day and date windows herald the Heritage Automatic Day-Date as being a classically driven watch. 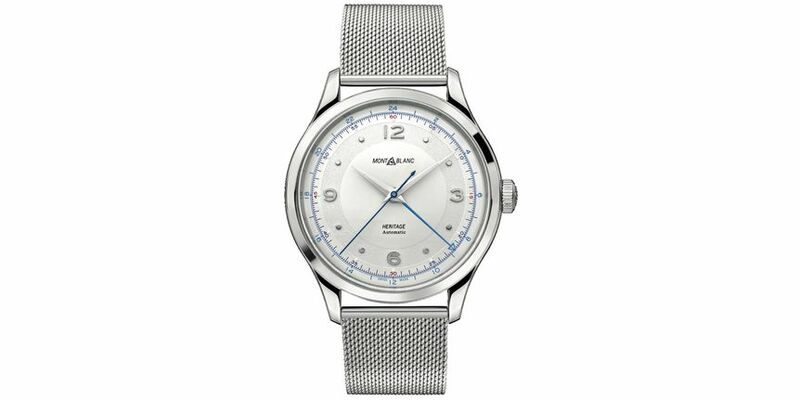 Montblanc has continued this theme by adding several textural components to the dial, namely the progression from the smooth outer dial to the texturized middle dial, all the way to the centre spread that is smooth and vast. This is easily now one of my favourite pieces from Montblanc, and like the Star Legacy Full Calendar before it, the Heritage Automatic Day-Date represents fantastic value at US$2,800. Like the Heritage Automatic Day-Date, the Heritage GMT is a very welcome addition to the Heritage Collection. Embodying the same design ethos as the Heritage Automatic Day-Date, the Heritage GMT shows two separate timezones simultaneously, with an additional (GMT) hand depicting a secondary timezone which can be set via the crown at 3 o’clock. 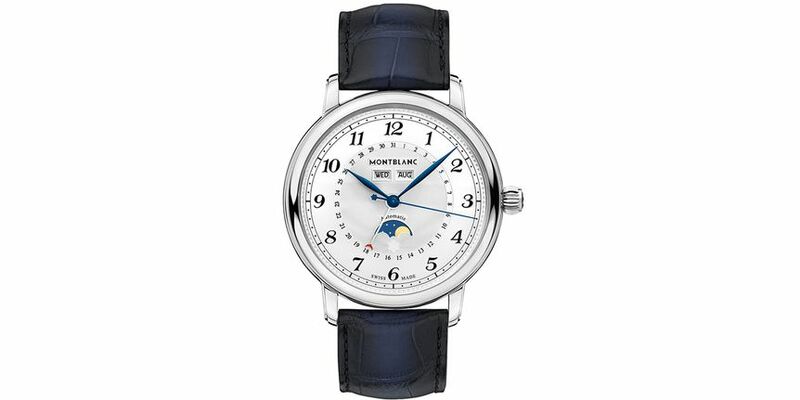 An often-overlooked quality when looking for a timepiece, the GMT is a smart choice for the globetrotter, and the Montblanc Heritage GMT is a sophisticated timepiece which looks far more expensive than the reality of the US$3,300 price tag – you’d be hard-pressed to find something of equal quality and value for your next overseas trip. This is one of my picks from SIHH 2019 and a wonderful example of just how far Montblanc is willing to push the envelope. 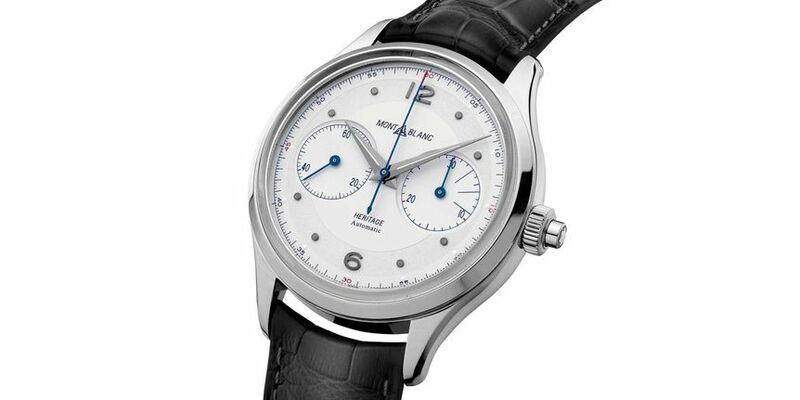 The Heritage Automatic Monopusher Chronograph (US$5,600) carries with it all the trademarks of a truly classical watch. Aesthetically, it's faultless: perfect proportions, beautiful symmetry and a highly detailed yet very straight-forward look. From a technical standpoint, the Heritage Automatic Monopusher Chronograph is a beast, featuring a monopusher chronograph complication with a 30-minute and 60-second time. Monopusher chronograph mechanisms are highly revered, in the world of haute horlogerie. It’s a beautiful movement that really engages its user, and I for one absolutely applaud Montblanc’s efforts in this respect. Dimitri Tsilioris is a Sydney-based watch writer enthralled by the intricate world of tiny mechanisms, who suspects he’ll never find the ‘perfect’ watch but will never give upon searching for it. 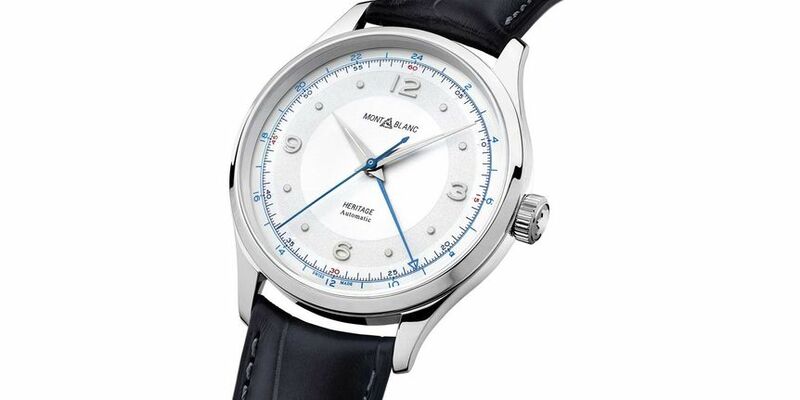 Comment on "Montblanc's newest watches make a stellar start to 2019"